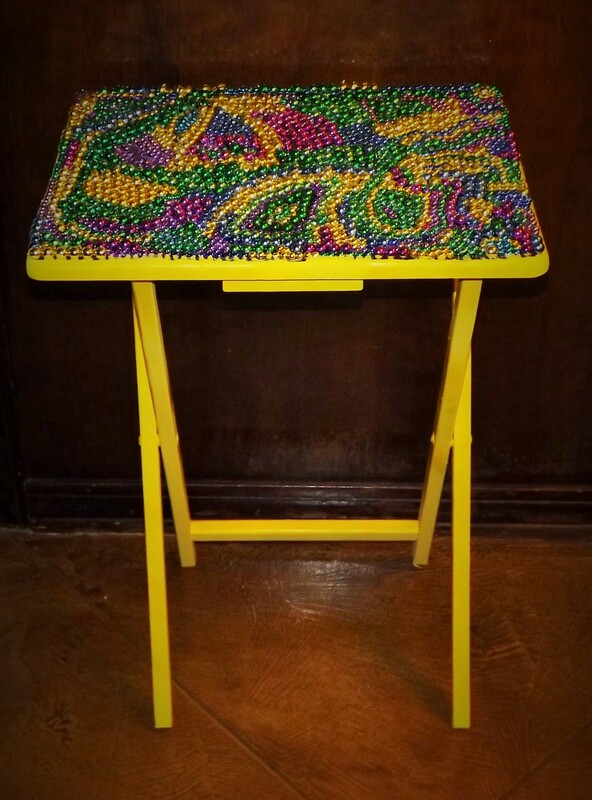 These two projects are the result of me being bored one weekend and having way too many Mardi Gras beads that my family and I have collected over the years. 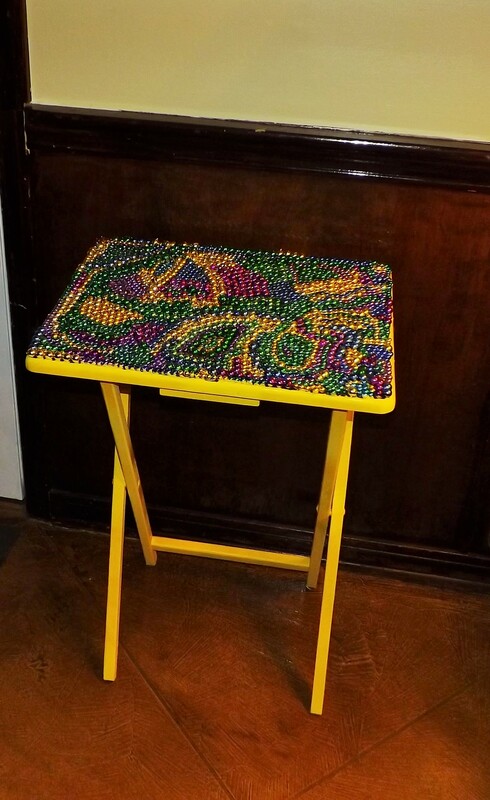 For the first project, I used a food tray stand, sun yellow Krylon Dual Paint + Primer, glue gun and glue sticks, and Mardi Gras beads. First, I cut the beads from the strands. 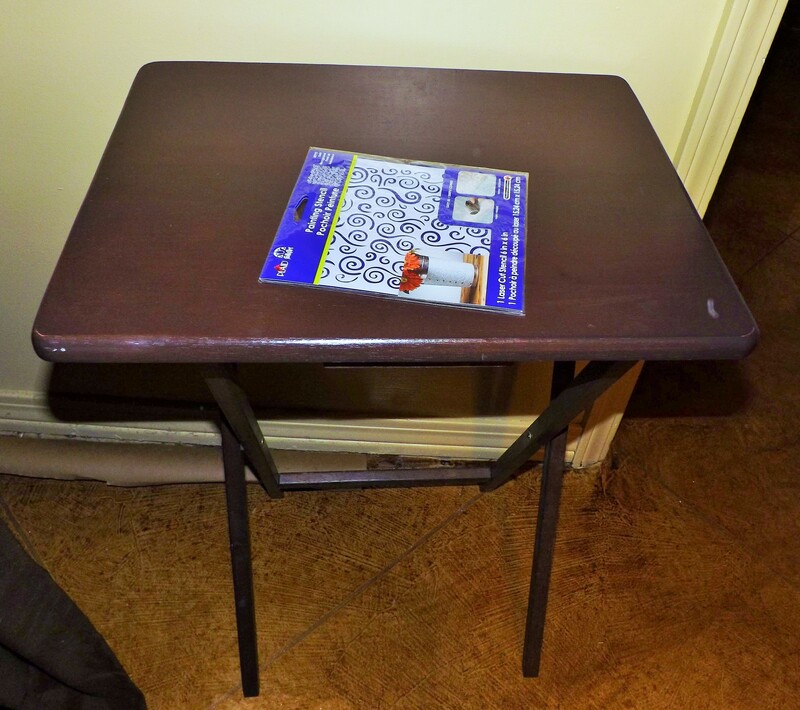 Next, I painted the tray. After the paint dried, I began to hot glue the beads into different patterns onto the top of the tray. 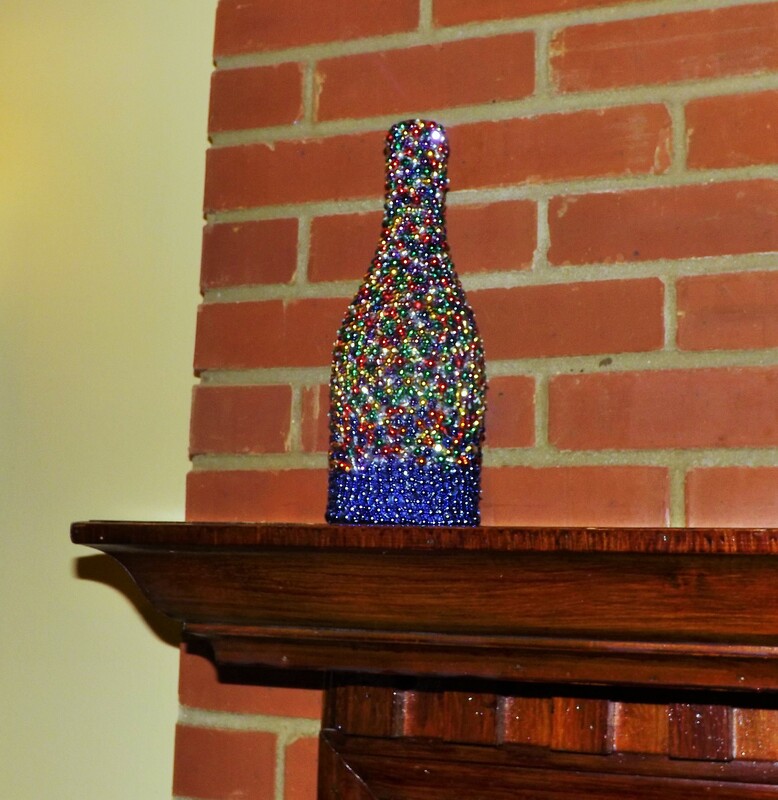 For the second project, I used a wine bottle, beads, and a glue gun and glue sticks. 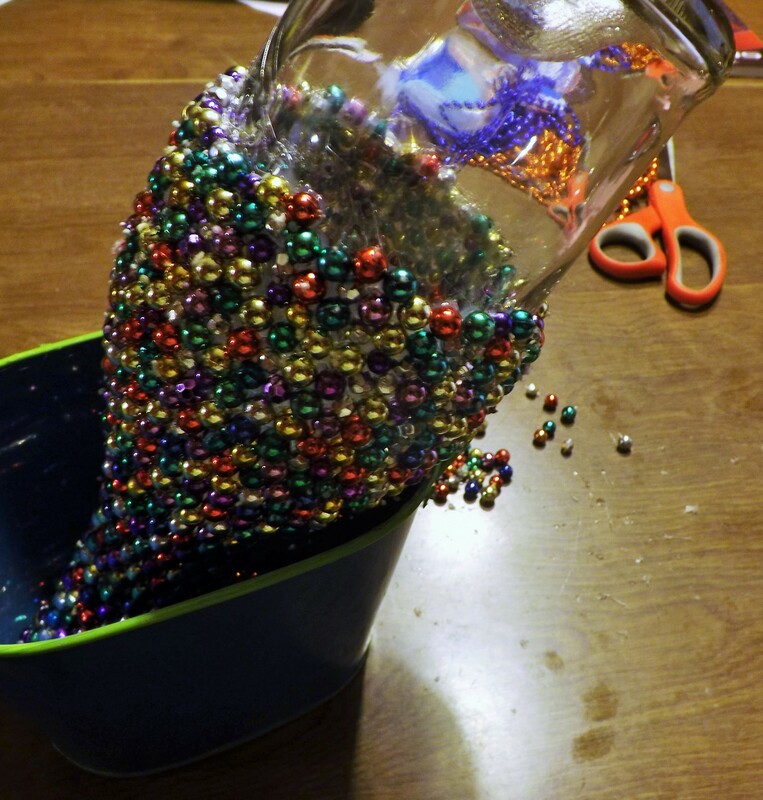 All I did was hot glue the beads onto the bottle.